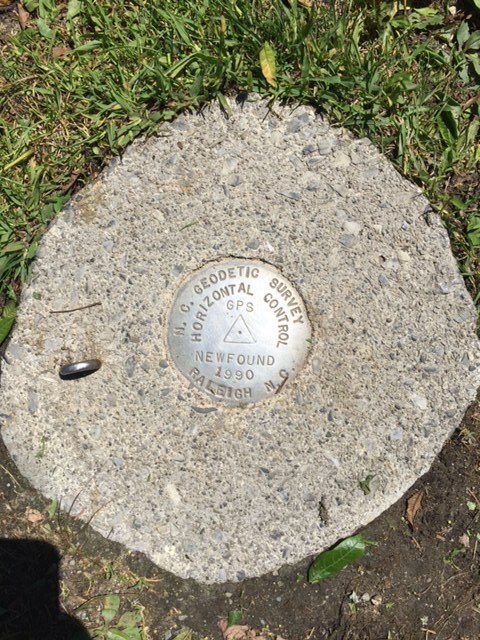 A US Benchmark at Newfound Gap in Great Smokey Mountains National Park. STATION IS LOCATED APPROXIMATELY 12.7 MI NORTH OF BRYSON CITY, IN THE GREAT SMOKEY MOUNTAINS NATIONAL PARK AT NEWFOUND GAP. ALONG US 441 FOR 16.3 MI NORTHWEST FROM THE BLUE RIDGE PARKWAY INTERSECTION (NEAR CHEROKEE) TO NEWFOUND GAP, AT NORTHEAST END OF PARKING LOT OVERLOOK, NEAR EXHIBIT SIGN. MARK IS ABOUT 2 FEET LOWER THAN THE PARKING LOT AND FLUSH WITH THE GROUND SURFACE. LOCATED 98.0 FT SOUTHWEST OF NORTHEAST END OF STONE WALL, 9.0 FT SOUTHEAST OF STONE WALL FACE, 51.1 FT NORTHEAST OF AN 8 IN MAPLE, AND 106.4 FT SOUTHEAST OF A ROCK BASE WATER FOUNTAIN. 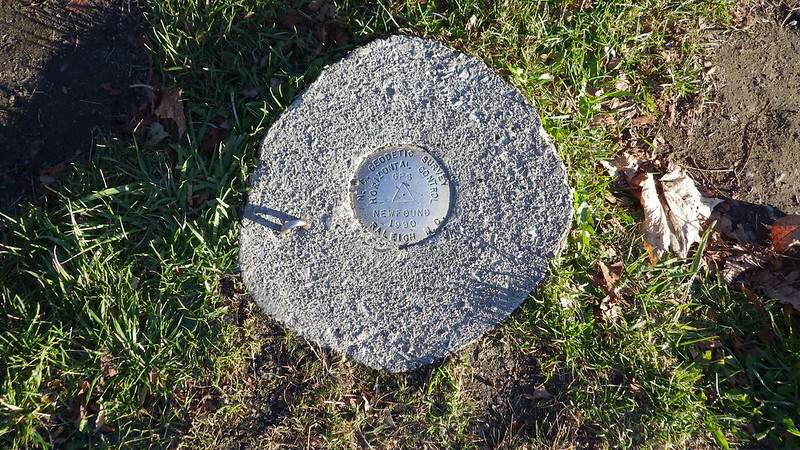 Found this benchmark after our trip up to Clingmans Dome.